Our company has set benchmark by offering Stone Wall Covering to the clients. This product enhances the appearance of the places like offices, homes and other buildings and helps to improve the theme of the room and makes it look appear different. Stone Wall Covering is offered in various colors and designs. Being the well-distinguished companies in the market, we are into offering Wall Cladding. 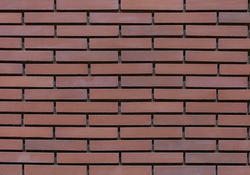 We take pleasure in introducing ourselves as leading firm by offering Natural Wall Stone Tile. We are known as the best Tile Cladding producing company, which are available in different dimensions and specifications. A high quality steel and glass is picked to manufacture this product line. Moreover, our range of spider glazing has a wide demand in varied offices, complexes and malls. We are counted among the most trusted names in this industry, engaged in providing Wall Cladding to our esteemed clients. This product is extensively used in different regions to provide attractive look to the walls and floors. Together with this, our clients can acquire these products from us at affordable costs. Vplank is fiber cement board siding manufactrured as per IS 14862:2000 Type “A category 3/ASTM C1186 Type “A grade II board used for external and internal cladding, soffit covering, duct covering and eaves lining.